​March is coming!! Sundays rarely gift us with top-notch, entertaining college basketball, but here we are, with our jaws on the floor over a Missouri State vs. Illinois State late afternoon matchup. 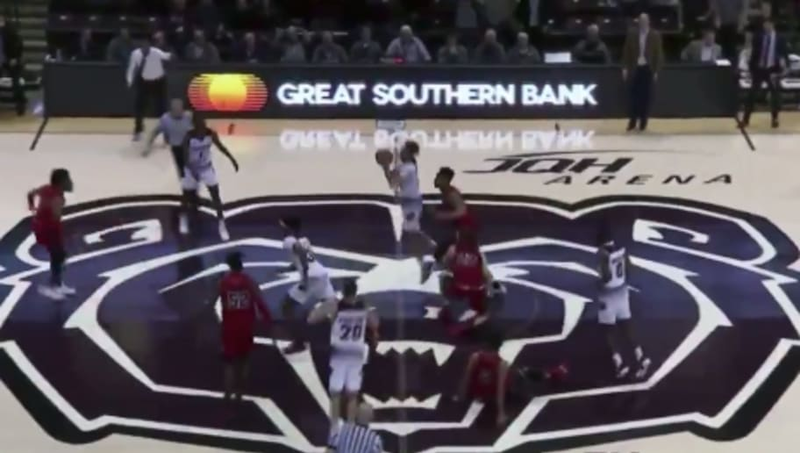 With the Redbirds up five points with seven seconds left, the Bears really needed every bounce to get the W in this wild ending. ​​Jarred Dixon for the win from half court ​at the buzzer after the steal on the inbound!! ARE YOU KIDDING?! That sequence would make any opposing basketball coach sick to their stomach. On the play before, Missouri State's Josh Webster got fouled and made the bucket with second seconds left, trimming the Redbirds' lead to 65-63. Then after a timeout, Illinois State turned it over, resulting in that insane scrum and the heartbreaking loss. For those that bet the Redbirds, there's your lesson for wagering on a Missouri Valley Conference game.